As interest in tidal-electric power generation continues to grow in response to demands for renewable sources of energy, readers can now turn to Elements of Tidal-Electric Engineering for the first comprehensive treatment of the subject. 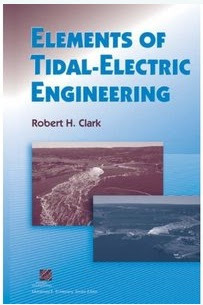 The author, Robert H. Clark, a leader in the field for almost fifty years, has spearheaded several important research projects and consulted with governments and private industries around the world on tidal-electric issues. The book ends with an examination of commercially operating plants and a brief review of sites that have been the subject of investigation in the last half century. References and bibliographies direct readers to primary source material for further study. Until publication of this text, power engineers have had to rely on random journal articles and anecdotal information to perform a feasibility investigation. With the publication of Elements of Tidal-Electric Engineering these engineers have a single, integrated source that methodically covers all the issues.